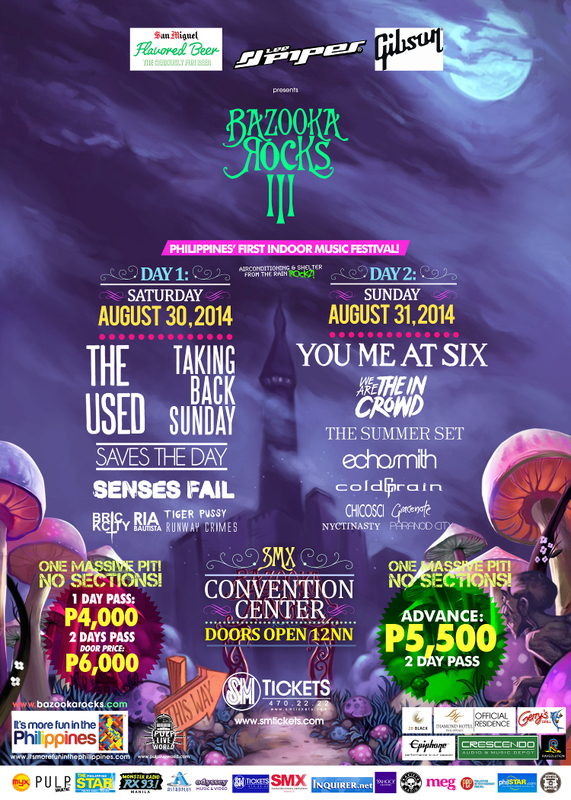 Blog Giveaway: Bazooka Rocks 3 x LEE Pipes Tickets! Weekend plans? I know I got mine booked! Thanks to LEE Pipes Philippines I scored some tickets to Philippines’ First Indoor Music Festival, Bazooka Rocks 3, featuring Saves The Day, Senses Fail, The Summer Set, You Me At Six, We Are The In Crowd, The Used, Taking Back Sunday and more awesome bands! No need for rain checks since this will be happening at SMX Convention Center! Concerts are great and unique bonding experiences that I’ve always hoped to have more often and I’m so happy to finally attend one after 1298934802 days! Lol. Bringing the boyfriend to this one! #cheese Anddd I’m giving you all a chance to share this experience with your loved ones too, be it your bestie, girlfriend, boyfriend, or sibling! I’m giving away 2 TICKETS to one lucky winner! All you have to do is follow these 3 STEPS! 1. Follow me on Twitter, Instagram, AND Facebook. 2. Like Lee Pipes on Facebook AND Follow them on Instagram. 3. Tweet: “Bring me & @___ (tag person you want to bring to the concert) to the #BazookaRocks3 @sophiemos! #LeePipes #LPKTB #customtees” Make sure to tag me!